Dave Grohl performed his 23-minute instrumental song for his "Play" documentary live for the first time Saturday night (December 8) at Warren Haynes's 30th annual "Christmas Jam" at the U.S. Cellular Center in Asheville, North Carolina. 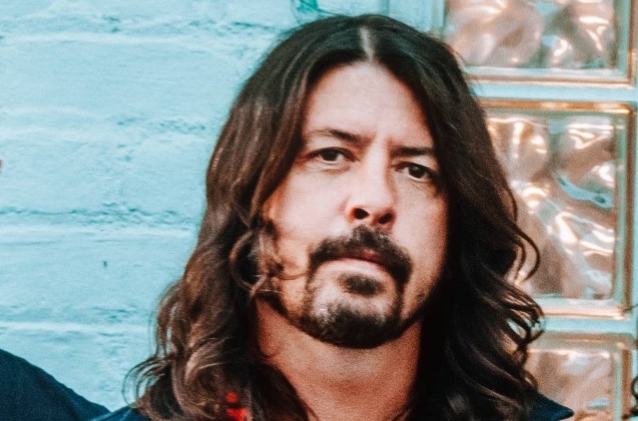 The FOO FIGHTERS frontman was joined by members of QUEENS OF THE STONE AGE and JANE'S ADDICTION, as well as producer Greg Kurstin. Grohl handled drums for "Play"'s live interpretation. QUEENS OF THE STONE AGE's Alain Johannes, Jason Falkner, and Laundry Room Studios' Barrett Jones all played guitar, alongside Kurstin on keyboards, JANE'S ADDICTION's Chris Chaney on bass, and FOO FIGHTERS collaborator Drew Hester on percussion. Proceeds from "Christmas Jam" benefit the Asheville Area Habitat For Humanity.